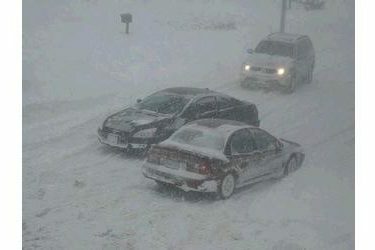 Dozens of drivers crashed or needed help after heavy snow and strong winds created treacherous whiteout conditions in western Kansas. Kansas Highway Patrol Lt. Stephen Larow says the agency responded to 29 crashes Thursday, including one that killed 16-old Jackson Buerge, of Overland Park, and three others with injuries. The patrol says Jackson was riding in a sport utility vehicle that a tractor-trailer rear-ended on a snow-covered stretch of Interstate 70 east of Colby. The Kansas Department of Transportation temporarily closed the interstate and several other highways as parts of the state received 8 to 12 inches (20 to 30 centimeters) of snow. By noon Friday, only one remained closed, a short stretch of Kansas 51. Larow says the patrol also checked on 43 abandoned vehicles and assisted 239 drivers.